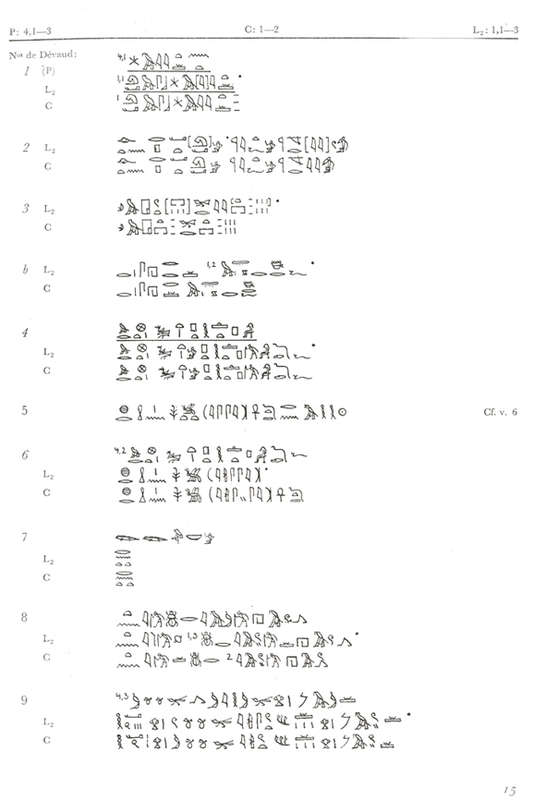 ANCIENT EGYPT : Hieroglyphs of the "Maxims of Good Discourse" of Ptahhotep by Zaba in 1956. In 1956, Zába realized a decisive translation and also reproduced the hieroglyphs of the four main sources in a comprehensive and clear way (which was absent in the work of Dévaud, 1916). 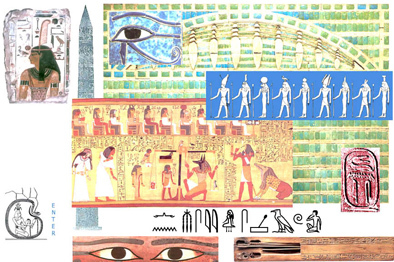 These hieroglyphs were published more than 40 years ago by the "Academie Tchécoslovatique des Sciences" of Prague (under the academician Frantisek Lexa), i.e. in former Czechoslovakia. They are identical with those published by him in 1948 in his thesis : Les Maximes de Ptahhotep, Texte, Traduction et Commentaires. Éditions de l'Academie Tchécoslovatique des Sciences - Prague, 1956, pp.15-65.